This is the story of a very well-to-do, modern Punjabi family, the Hoodas and the backbone of this loving family is Ishaan and his wife Preet . Ishaan is the perfect son, the best brother, a doting father and an excellent friend. But underneath his perfect facade, lies a terrible truth that Ishaan has been hiding from everyone, the truth about his real identity. Ishaan has constantly been in touch with a girl which lead to the belief that he has an extra marital affair. The truth, however, is much further away from that. Ishaan, in fact, is a spy from a neighboring country Pakistan,Rizwaan Ahmed Khan, who is brainwashed into thinking that his parents were killed by his neighboring country's agents. The real Ishaan died, like the rest of his family in the same tragedy. Given that Mr Hooda had not seen his brother or his family in years because of a clash the two had, there was no way they would have known what their nephew looked like. Using this to their advantage, the enemy IA sent their spy posing as Ishaan. Ishaan/Rizwan and Preet put up a facade of being a happy married couple while doting on the real Ishaan's daughter Kaya (who survived the tragedy). 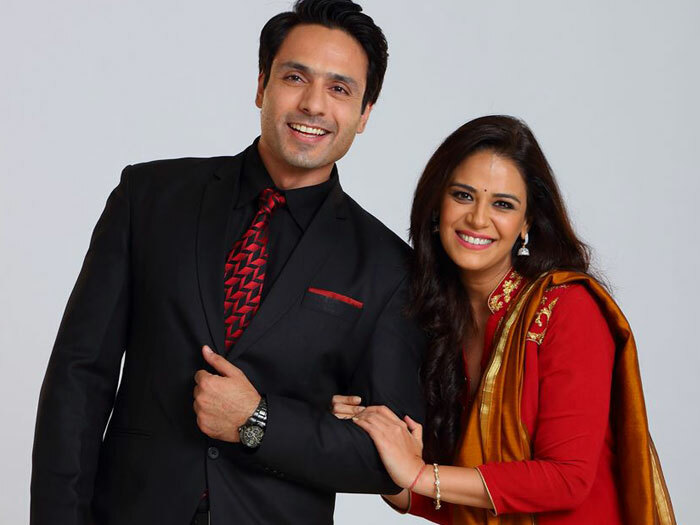 Ishaan and Preet are gradually drawn to each other during the four years of their marriage. Rizwan aka Ishaan tries to fight his attraction to Preet but eventually consummates his marriage with her. By the time Preet discovers Rizwan's truth, she realizes she is pregnant with his child. Eventually, She takes the help of a RAW Agent called Shergill to try and stop Rizwan.